The Microtips Technology TFT Display is a round RGB LCD screen with a 1.3in diameter display with a 240x240 pixel resolution. 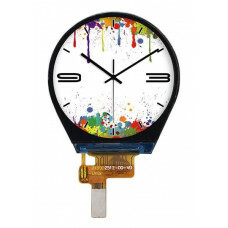 These displays are composed of a color TFT-LCD panel, driver IC, Flexible Printed Circuit (FPC), and a backlight unit. 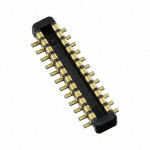 This display is communicates over an SPI interface and operates at 2.8V. Applications include digital equipment which requires a color display, mobile phone, mobile navigator, and video systems. 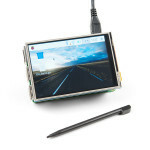 This LCD Touchscreen HAT fits snuggly on top of the Raspberry Pi, practically form fitting on top of..
Hirose Electric DF37B-24DP-0.4V(53) Board-to-Board / Board-to-FPC Connector features 24 contacts, a .. 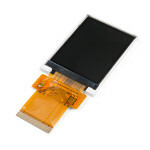 Here's a very cool TFT LCD display with 128 x 160 resolution and 18-bit color depth. The most unique..